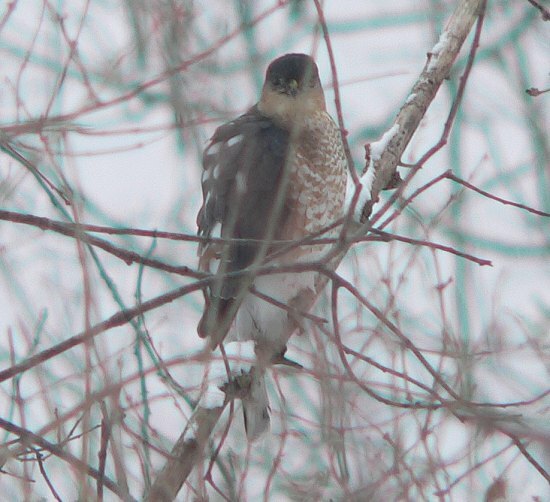 It’s been pretty quiet at the farm – we’ve been having light snow and cold temperatures and not many clear days. There’s quite a bit of snow on the ground, so I’ve been skiing and snowshoeing to check out all the places that I can’t walk to. 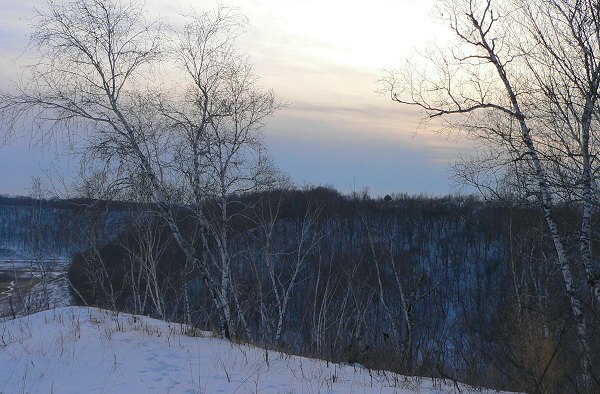 Here’s a view looking south from Indian Grass Point at sunset – gray and very snowy. 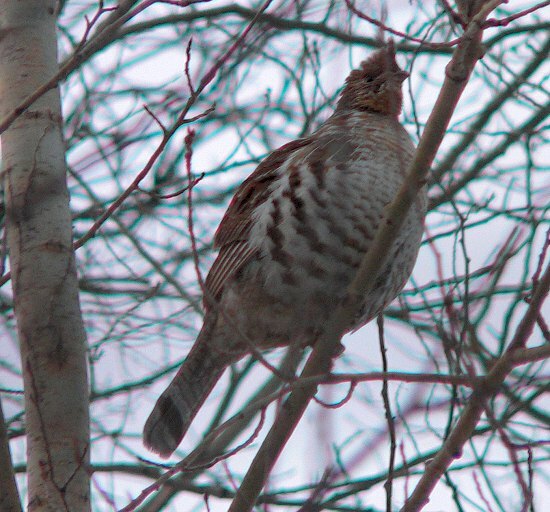 Yesterday as I was walking in the woods behind the point a Ruffed Grouse clucked at me from a perch high in a tree. 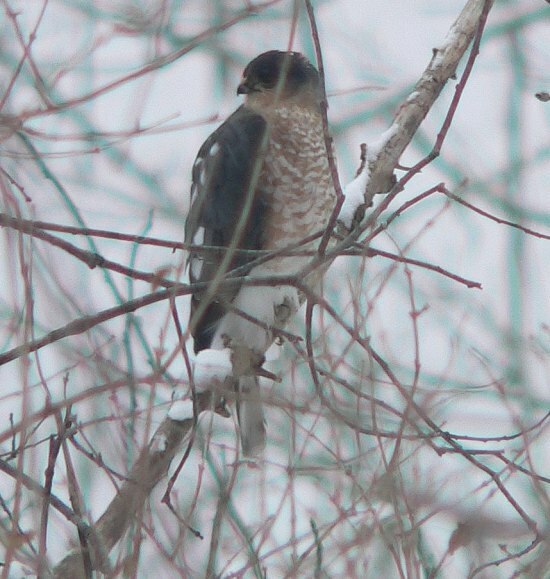 A Sharp-shinned hawk stopped by one day to check out the birds at our feeders. I didn’t see it catch anything. Here’s an opossum that I disturbed from its favorite spot – the pile of fallen seeds under the birdfeeders.